HomeNews & InsightWelcome Troll Pub at the Wheelhouse! 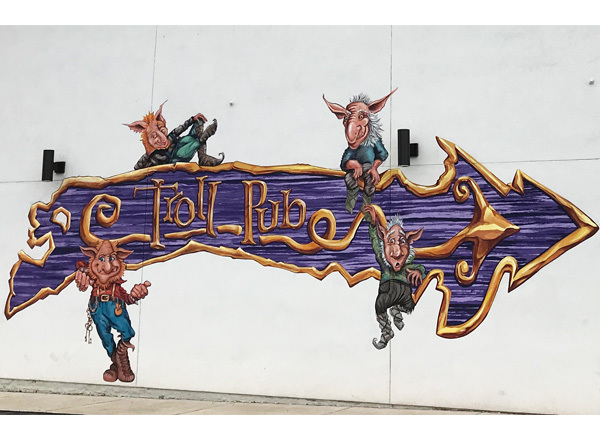 Welcome Troll Pub at the Wheelhouse! 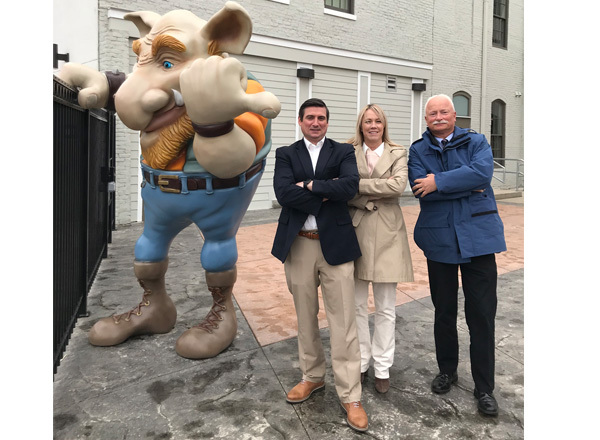 Miller-Valentine Group extends a warm welcome to the Troll Pub, now open in the recently renovated Wheelhouse Lofts, located on Wayne Avenue and East Fourth Street. 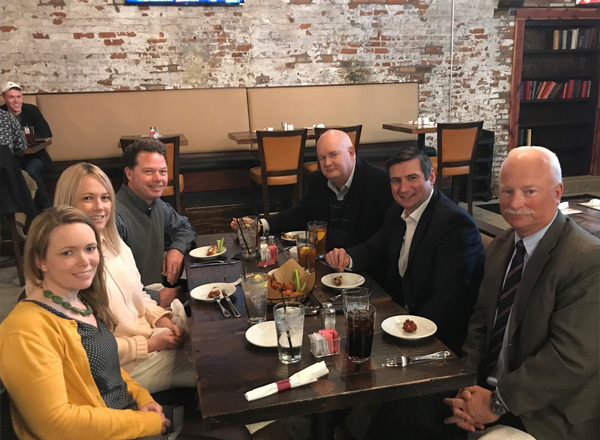 Associates from Miller-Valentine Group Realty Services enjoyed lunch this week, dining on Avocado Cobb Salad, Chicken Wings, and Troll’s from scratch Chili. Vacant since the turn of the century, the four stories of the 150-year-old industrial facility (Weustoff and Getz Company Building) have been painstakingly converted into industrial-chic loft-style apartments and upscale commercial space. Miller-Valentine Construction recently converted the vacant upper floors into 40 residential apartments. Wheelhouse Lofts now anchors Dayton’s new “Oregon East District,” the first phase in the natural extension of the City’s thriving Oregon Historic District. Located on the outskirts of downtown Dayton’s east side, this urban mixed-use area is popular for its historic homes, quaint shops and galleries and other entertainment options. 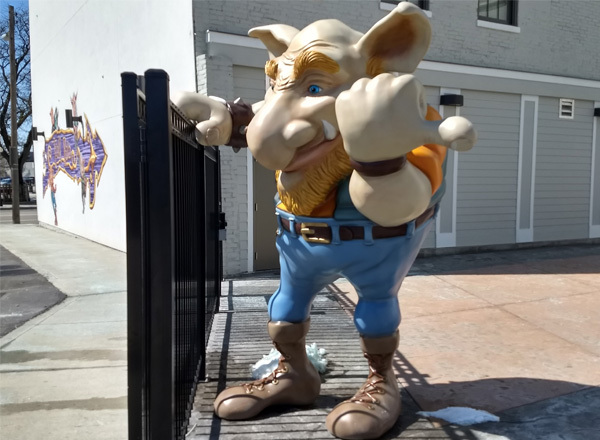 This new restaurant is the 2nd location for Troll Pub Under The Bridge, established in Louisville, Kentucky. For a sneak peek inside the Toll Pub, Click Here. For additional information about retail space at Wheelhouse Lofts, contact Aaron Savino at 937.297.3259.